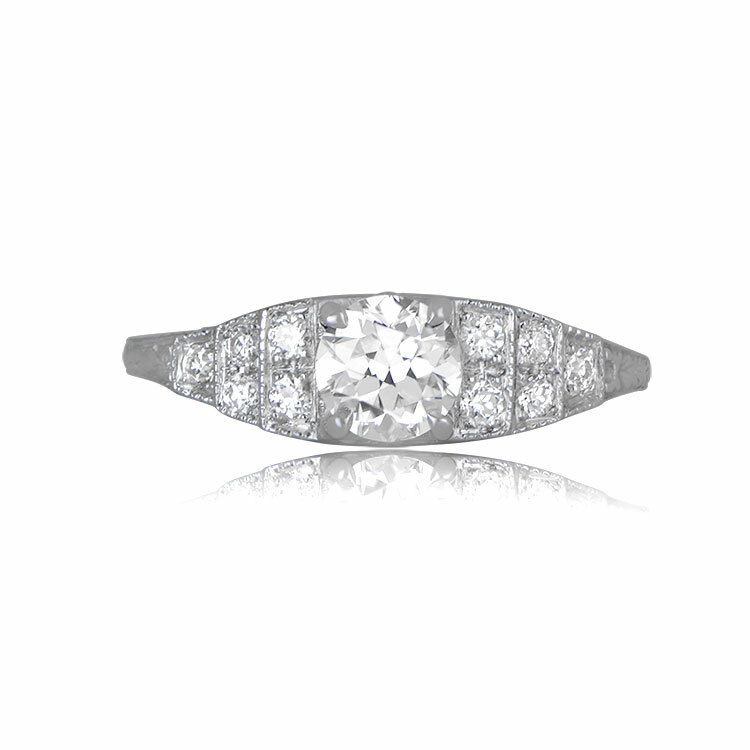 A delicate engagement ring featuring a 0.60ct old European cut diamond, K color, and VS1 clarity. 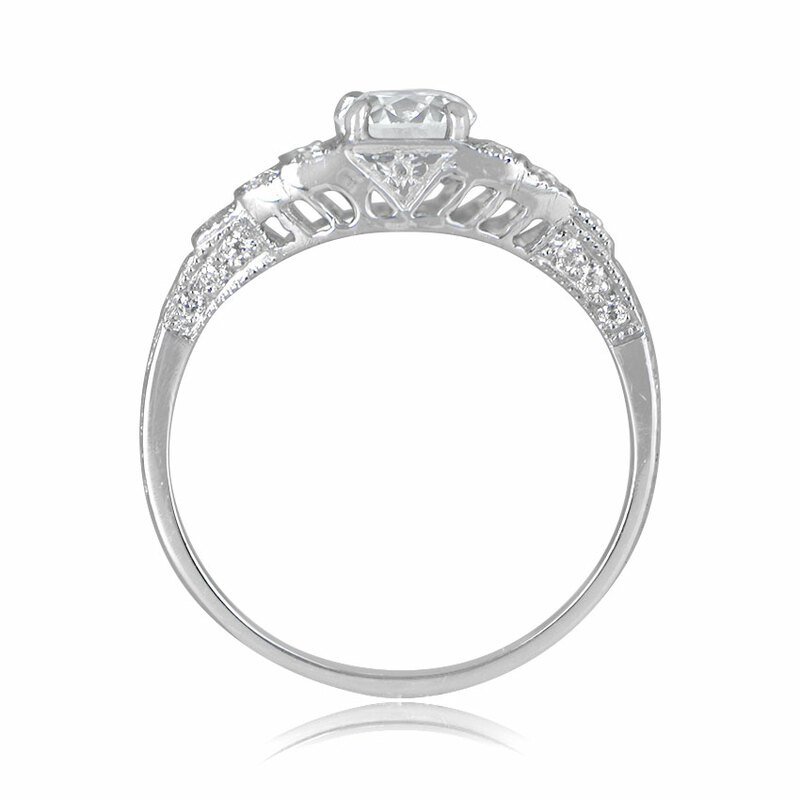 The shoulders graduate towards the center featuring three sections set with diamonds. 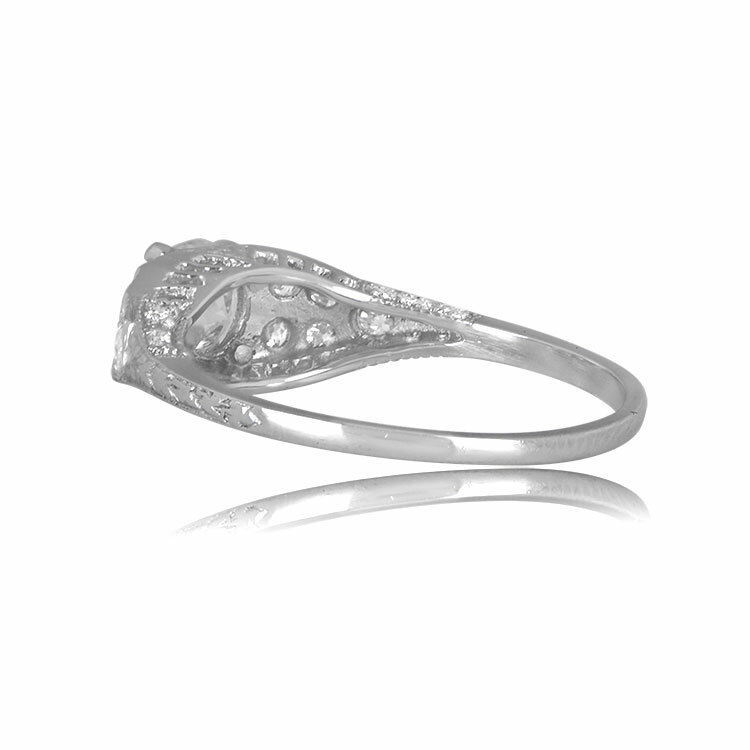 Along the gallery of this ring is openwork filigree milgrain. 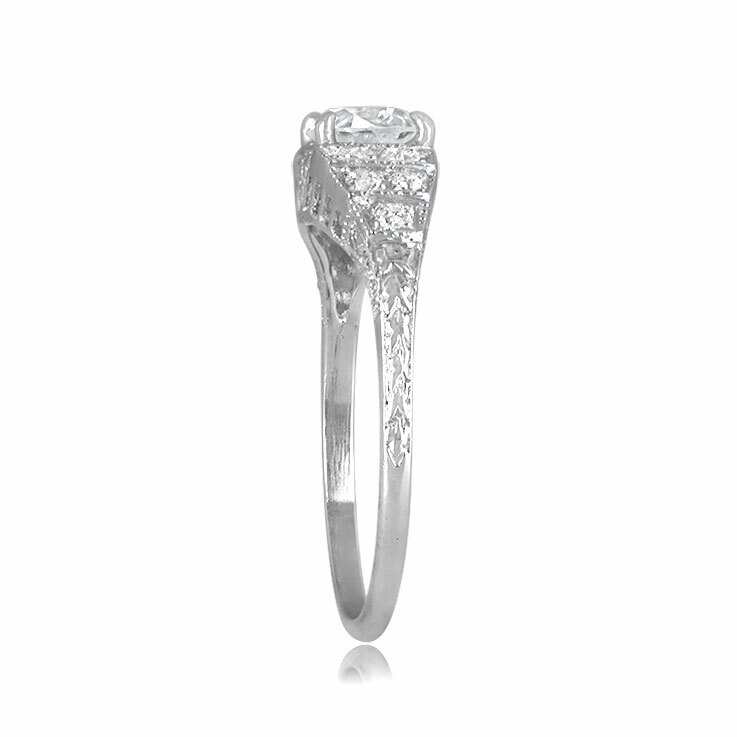 This ring is platinum and was handcrafted. 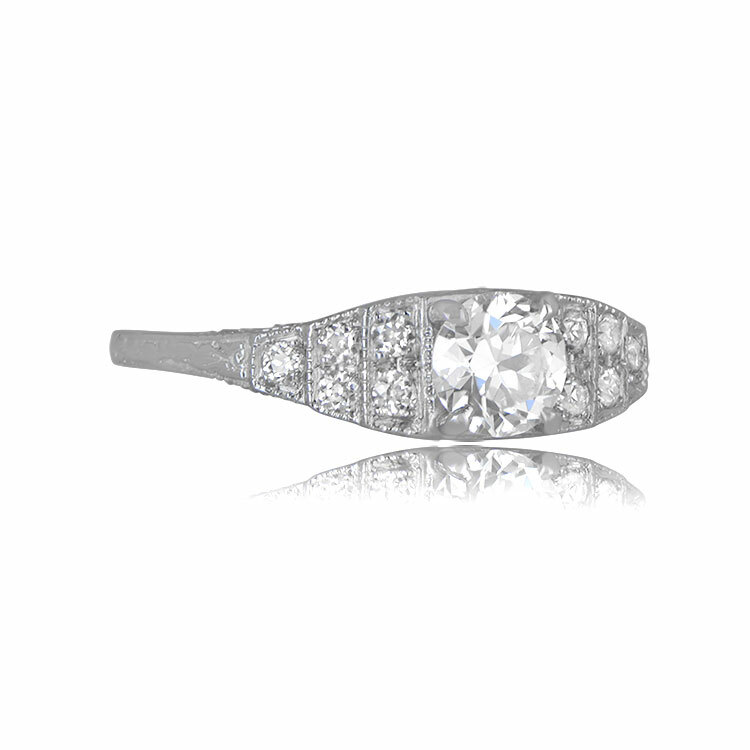 The total approximate weight of the side diamonds is 0.27 carats. 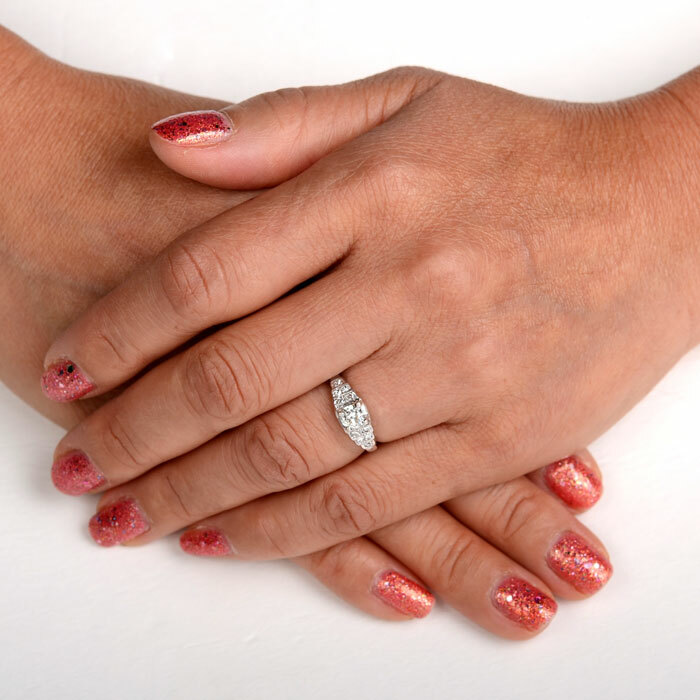 The total carat weight of this ring is approximately 0.87 carats. 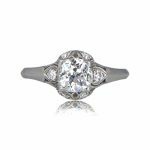 The measurements of the center diamond are approximately 5.23mm x 5.28mm with a depth of 3.60mm. Delivery for this week is 3 weeks. 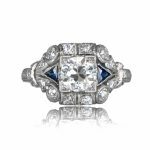 SKU: 12100 Category: Vintage Engagement Rings - Contact us and request additional pictures.